Aiming to keep Ukraine in orbit, both Russia and the EU have teased the country with promises to help fund its $17 billion finance gap. 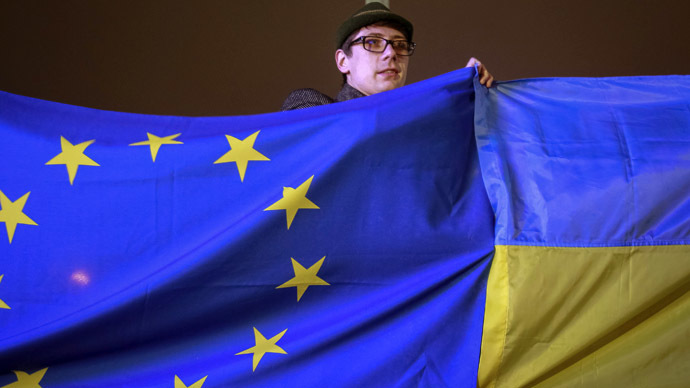 As Kiev remains split between advocates of Ukraine’s alliance with Russia and those who want the country to move closer to the EU, Moscow and Brussels both said on Monday that they would grant loans to Ukraine should it agree to join their own particular alliance. 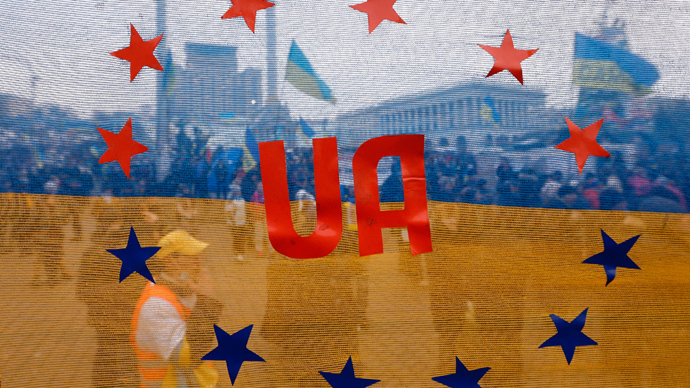 Ukraine will “simply fail to maintain economic stability,” Interfax quoted Russian presidential aide Andrey Belousov as saying. “I do not rule out that, if there is a request, a credit could be provided,” he said. 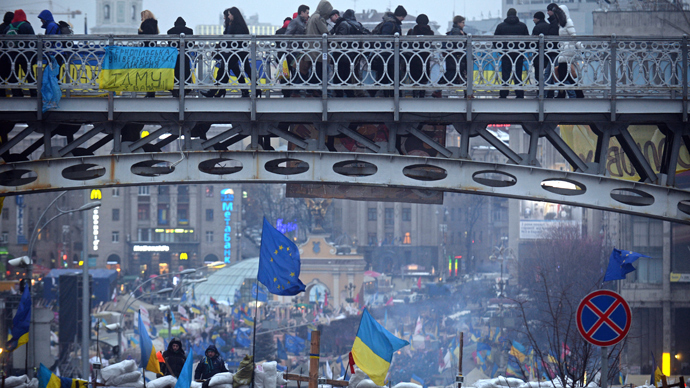 EU foreign policy chief Catherine Ashton also stressed that the EU could help Ukraine secure an IMF loan. 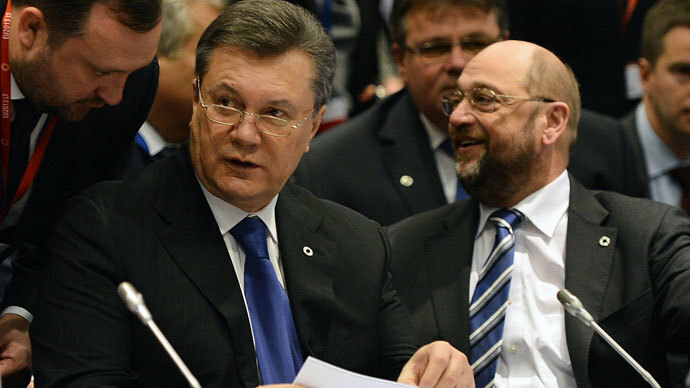 At an EU Council meeting, Ashton said she had talked with the Ukrainian president about the short-term issues that prevented him from signing the agreement with the EU. She said such issues could be resolved through the support of the EU and international financial institutions, as well as through commercial loans. 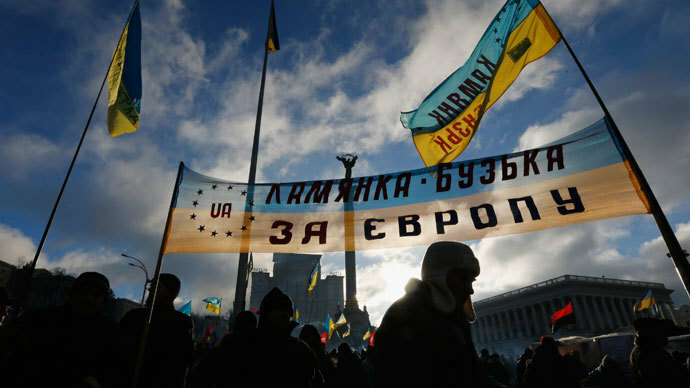 Ukraine is seeking help to cover an external funding gap of $17 billion next year, which is almost the level of the central bank's depleted currency reserves, according to Reuters. 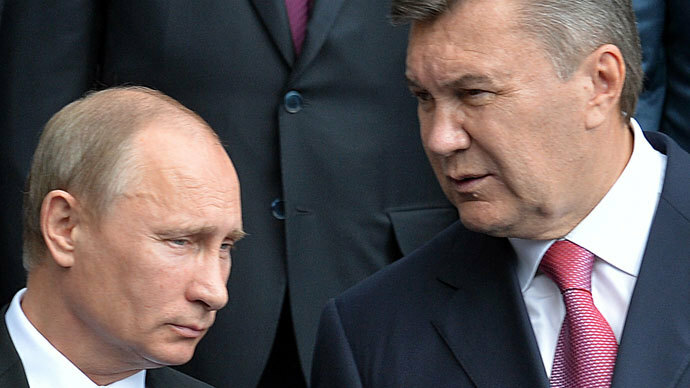 On Tuesday Ukrainian President Viktor Yanukovich is visiting Moscow. He will be meeting Vladimir Putin to discuss economic cooperation. “A solid package of bilateral agreements is expected to be signed following the meeting”, says the Kremlin website. When asked whether the loan would be put forward at Tuesday's meeting between Yanukovich and Putin, Belousov said that he has not ruled out any possibilities.